Mwave's tweet - "[#LIVE #2018MAMA ] "What makes you dream?" asked Mr. President Kim Namjoon aka #RM the astronaut from MAMA in Japan #BTS ▶️ Watch Live at "
THEY CALLED HIM "MR. PRESIDENT"
Aileen 💜 and her BTS Thinking Hats. Seriously think an ARMY infiltrated this account! From Suga’s lil meow meow to RM’s President Kim Namjoon. HAHAHA ini admin nya ngaku sendiri kalo RM itu presiden😂😂 dia juga bilang RM itu astronot dari MAMA Japan karena outfit Anpanman dia kemarin😆 setujuuu? Mwave, Namjoon'un bir gifini paylaştı. "Size hayal kurdurtan şey nedir?" " "O que te faz sonhar?" Perguntou o Sr. Presidente Kim Namjoon, também conhecido como #RM o astronauta dos MAMA no Japão #BTS "
ASDFGSJJSHSJS MR. PRESIDENT A.K.A THE ASTRONAUT FROM MAMA JAPAN WHAT'S YOUR STAN ACCOUNT MWAVE? AJDJDFJJFID WHICH ONE OF YOU HACK THIS ACC??? "Mr. President Kim Namjoon aka #RM the astronaut"
MR PRESIDENT SJNSJZNZKNZS THATS RIGHT!!! 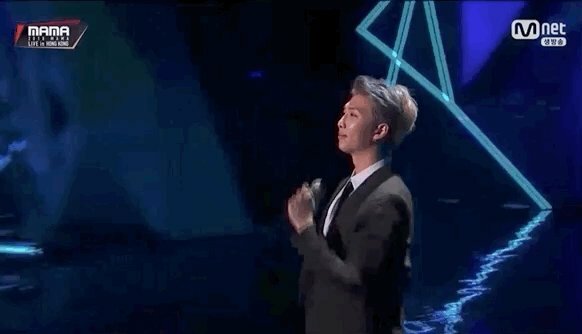 "Mr. President Kim Namjoon aka #RM the astronaut from MAMA in Japan"
Our president kim Namjoon turning awards shown into motivation speech class. MAMA is now an ARMY.